Medik8 is a fabulous and renowned skincare brand that applies modern green technologies into creating safe and effective skincare products for all of the different skin types. However, there is also a collection of Medik8 products that contains products aimed at specific skin areas such as the lips and eyes. This collection is called the Medik8 Eyes and Lip collection. All of the products included in this special collection are targeted at the eye and lip areas and provide powerful and effective results to meet different desired results and looks. The Medik8 Eyes and Lips collection consists of several different products aimed at toning, firming, hydrating, and nourishing the delicate eye area and the lips. For example, within the collection you can find one product called the Medik8 Dark Circles, which concentrates on reducing bags, dark circles, discoloration, and puffiness around the eye area. On the other hand, the Medik8 Pretox Pout works to refine and define the shape of the lips by providing the lips with more elasticity for a more voluminous pout. All of these products within the Medik8 Eyes and Lips collection are made with biocompatible ingredients using green chemistry technologies, which ensure a safer and healthier skincare mixture. If you are interested in any of the Medik8 Eyes and Lips products, or any other Medik8 skincare products, you can find them over at SkincareByAlana. 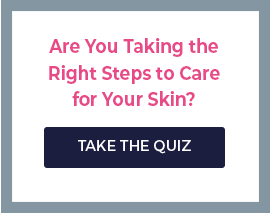 This site is a one stop shop for all of your natural skincare needs. Each and every brand or products made available on the site is handpicked in order to comprise a beautiful collection of skincare products that really deliver lasting results and do so with safe and beneficial ingredients. All orders made within the U.S. are shipped out for free and you can often find great deals and discounts on your favorite skincare lines.